How to Get an Easement in Your Favor.Talk to your neighbor and the county. It's not as hard as you may think. The LandAcademy podcast is an educational and entertaining space for ambitious real estate professionals to learn the trade of buying and selling all types of properties and converting them into passive income. 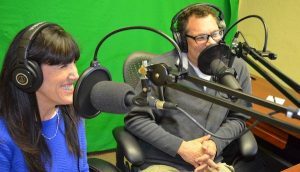 Steven Butala hosts the show with his partner, Jill DeWit, and together they share information (Steven’s part) and inspiration (Jill’s part) – plus interview many of the top professionals in the business.